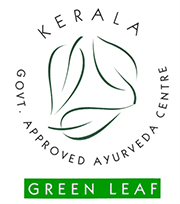 Why Prefer Ayuryogashram as your Ayurvedic Health Resort Destination in Kerala? 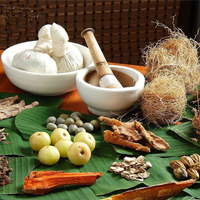 We all have seen, heard, and experienced Ayurvedic specified treatments and therapies in many Ayurveda health resorts and centers in different parts of India, or in Kerala even. But many of them will of course have been setup and established as a place that is meant to serve clients who come to them seeking whatever services are on offer. But where do you find a place that has a story within a story? Where do you come across a place that has a history and a lineage attached to it? And has now undergone metamorphose to showcase its history and tradition, in the best possible way, by engaging in the ancient Indian Science, which is Ayurveda-inspired and backed. Yes. If you are a first-timer, or you are very familiar with Ayurvedic treatments and therapies, you have an idea about the history behind the potent ancient, Indian Science, Ayurveda, you are from within India or a guest from foreign lands, what is the one thing that would act as a connector? What could it be that would enthuse, draw you, and stir you up? What would evoke your interests, heighten your curiosity even? Well, we all love stories, we all like to know of a history, and origins, and if there is something like that, it would instantly appeal to us. Isn't it? It is when there is a story that unfolds, that we all immediately take notice. And here in Ayuryogashram you will find all of that. Nestled in tranquil settings, with the hills dotting in the distance, in a peaceful place called Parlikad which is in close proximity to the nearest city, Thrissur and all this in 'God's own country, Kerala. Yes. If you are visiting Kerala, or a plan is in the anvil, you want to take in the sights and the scenes, and also want to experience Kerala first-hand and savor its many unique offerings, then that is exactly what you should do. Make it an experiential voyage of sorts. And in that, do not forget to experience Ayurvedic treatments and therapies in the form of many rejuvenative massages and detox programs. And to experience this side of Kerala, to taste the unique recipe of Ayurveda first-hand and to also experience Kerala at close quarters, Ayuryogashram in Thrissur is where you should be headed to. And then again, what did we mean by experiencing Kerala at close quarters here at Ayuryogashram? Well, to put it quite simply, the place and the building where Ayuryogashram is located has a lineage to it. It was once a 'tharavad' with 'nalukettu' and a nadumittam. The main building is over 100 years old and built as per traditional Kerala architecture and this is how most houses and buildings dating back to an era and more were built. Therefore, what do we say, it is a double-treat, not only do you get to experience superlative Ayurvedic therapies and treatments, but you also get to explore and understand, how traditional Kerala architecture was many centuries ago. Now the ancient architecture of this heritage structure dates back in time and needs a little description. 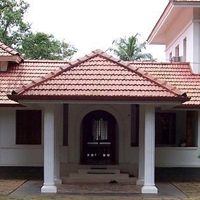 Way back in another era, the 'tharavad' �functioned more as a large house that in turn catered to the joint family system, wherein many families, of course they were all related to one another, resided in harmony under one roof. And a large house that catered to these people, the 'tharavad' was thoughtfully designed. 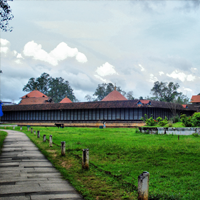 It was vast, expansive and the ancient Science of Carpentry or Thatchu Shasthra served as the principal design outline. Also the Indian counterpart of Feng Shui, is the long-established Vastu shastra which incidentally is followed even today. This served as the very basis for the building's design and architecture. It acted as a positive guiding force so as to ensure that positive energies were free-flowing. Also as per Vastu Shastra, every room or space had to be placed in designated places, facing certain directions accordingly. Also, the naturally cool interiors, the ventilation, and the way natural light flowed into each room were unique. 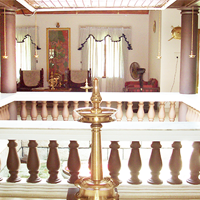 And most traditional Kerala homes always had a central, open courtyard or nadumittam that interestingly was either inside the residence or outside and the building surrounded it on all sides. Here in Ayuryogashram, the nadumittam is placed inside and it adds to its aura, wherein you can sit around this and savor the rains, with the rainwater just flowing into the courtyard and not going beyond into the space around it. That is how thoughtful the architects of that era were. Now that you are here in Ayuryogashram, what is it that sets us apart? What is our standout element? 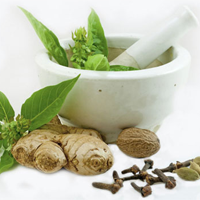 Why are we sought out for our Ayurvedic treatments and therapies? Yes. As we did mention earlier, our location, lineage and verdant surroundings are definitely a plus. But in addition to that, what else? Yes. 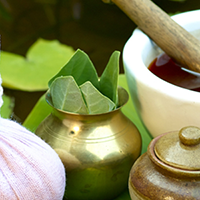 Our mainstay of course is Ayurveda. And we have the proven experience too. By way of Ayurveda, we engage in a cleansing of the mind, body, and your innermost self. This follows a pre-ordained ritualistic process and the pattern is determined as per your needs, your body makeup, and overall composition. And of course, if you are with us seeking a specific therapy, or a package, then we offer customized services for that too. Overall, if you are seeking weight loss, relaxation, anti-aging, detoxification, panchakarma, de-stressing therapies and rejuvenative therapies, you have chosen right. On the other hand, you seek to combat specific illnesses like arthritis, diabetes, obesity, back pain, knee pain, and migraines. We help you with all this too. 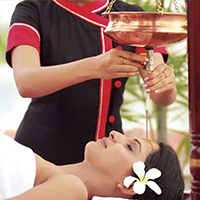 Principal among our Ayurvedic therapies and treatments include, Shirodhara, Abhayangam, Udwarthanam, Tharpanam, Nasyam, Kati Vasti, Shirovasti, Pizhichil, Uzhichil, medicated steam bath etc. And So In our opinion, it is always better and advisable when it comes to Ayurveda, always choose a place or a health resort that has been around for a long time, has been engaging in offering effective services whose treatment principles are rooted in the traditional Ayurvedic methodology, and has a good support system. 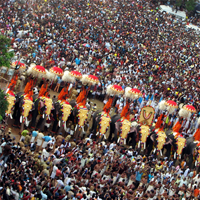 And keeping all of these aspects in mind, it is Ayuryogashram in Thrissur, Kerala. If your interest is piqued and you would like to visit our place and enjoy our hospitality, check out our website, www.ayuryogashram.com. What do we say, we know you are impressed, curious, interested and in awe, and you are just waiting to come here. Please do. We are awaiting your arrival!